These antivirus programs are free and made by legitimate software producers and if you are thinking why they are giving it free, there is a reason. Like all strugglers you have to provide top class service to get the top position and its no different for these Antivirus software makers. They are not strugglers but already established antivirus vendors but they want more people to try their software before they can buy the full versions and so they are giving their software away for free. If you like it and want a buy a premium version ( with some extra features ) you will have to pay for it otherwise it remains free. Some of these Antivirus are as good as the established players in this market like Mcafee antivirus , Kapersky Anti virus and Norton antivirus and infact offer some innovative features that they don’t as well. These free software also scans your computer for rootkits which is awesome and is also considered a premium feature in some software’s. There is also a tool from Trend micro to do a online scan on your computer by downloading thier software you can check out more about it here. Nice blog, I am satisfied with your list but I would like to add one more to it and that is immunet antivirus. 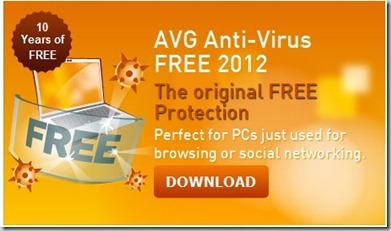 This is equally effective and efficient when compared to paid antivirus. For downloading it browse http://www.immunet.com .